Help me, Sir Arthur Conan Doyle! 1. After a nearly two-year wait, I finally saw galleys for my first novel, Trouble at the Scriptorium. Although there are a handful of corrections, it's very close to ready for release. 2. My contract with Candlemark & Gleam for Green Light Delivery was announced in Publishers Weekly. 3. My Halloween story, "The Lowly Soul," was published on the MuseItUp blog. 4. I started on the revisions of Green Light Delivery that I'd discussed with my editor before I signed with Candlemark. I think this is the scariest fiction-writing project I've ever done. 5. 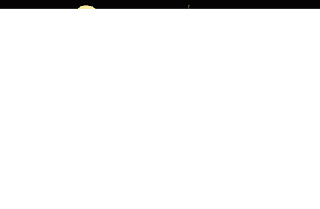 I started work as a volunteer judge at the new site, Rate Your Story, which offers a free rating and short critique to new writers. 7. I saw covers for two upcoming anthologies that include my work. 8. I got my author's copy of Greek Myths Revisited. 10. I wrote the first five chapters of a sequel to Trouble at the Scriptorium. It's been quite a month! When I list it all like that, I see how incredibly lucky I am. I couldn't ask for better progress toward becoming a full-time writer. How about you? Any writerly good news to share? Any frustrations you feel are holding you back? "The sequel is never as good as the original." That maxim makes me shudder, now that I'm at the point of planning and writing sequels to two of my novels. Will the readers love them like they loved the first ones? Heck, will the publishers even want them? Which characters do I continue? How many successful elements of the first story should I re-use in the second to keep it consistent but not repetitive? The good new is that sequels in literature don't have the same poor-cousin reputation as sequels in Hollywood. Publishers have been smart enough to market books as series rather than sequels. "Series" is a term with considerably more cache, since it implies a set of equals rather than an original followed by hangers-on and imitations. There's also the honorable history of the sequel/series, dating back to ancient literature. If you liked Oedipus Rex, you'll love Oedipus at Colonus. Enjoyed Horace's Odes? Well, rush right out and buy a rolled papyrus copy of Horace's Epodes. Oh, and then there's The Iliad, followed by The Odyssey. Wait, you're one of those nay-saying types who think they were written by two different people? Ah, the ghost-written sequel. Definitely a topic for another day. What has been your experience reading (or writing) sequels? 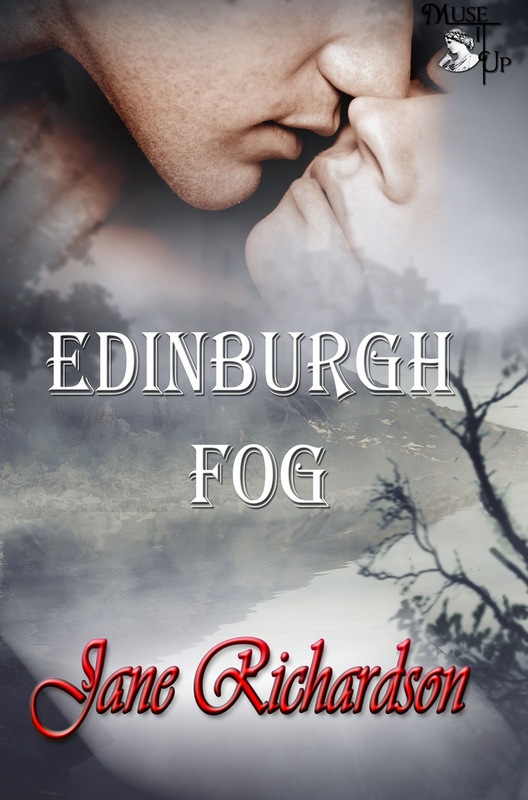 I'm delighted to welcome Jane Richardson, author of the humorous urban romance story Edinburgh Fog, recently published by MuseItUp. Jane has offered to tell us about her process in writing dialog that both sounds authentically Scottish but is comprehensible to everybody. Thank you so much, Anne for letting me visit your blog today! For your readers who don't know me, my name is Jane Richardson and I live in the south-east of England. I write contemporary stories with a delicious dollop of romance in them, and let me see, what else? Oh, yes, there's one more thing - I'm Scottish. Why did I hesitate, you ask? What's wrong with being Scottish?? Well, nothing of course!! Except maybe....well, look. Let me explain. My latest publication is a story called Edinburgh Fog. It's a story I almost didn't submit. Why? Because I'm aware that when the words 'Scottish' and 'romance' are used in the same sentence, certain expectations are - shall we say! - aroused. There’s an enormous market for 'Scottish romance,' particularly with the Highlander-type stories - they're hugely popular. In recent years I've also seen a move towards more contemporary Scottish stories, very often with an American heroine and Scottish hero, or vice versa. Nothing wrong with that at all, I know many people adore them, and I've written a novel myself in the past with an American hero and UK heroine. There's something about that old 'special relationship' between Britain and the UK that carries beautifully into romance stories. We are two nations divided by a common language, and it seems we love noting better than making that division just a little smaller, while still highlighting our wonderful differences. That's great with me! When it comes to me being Scottish, however, that often raises another issue - the way we Scots actually speak. There does seem to be a generally accepted Scottish-romance-speak, and it's very genre-specific. Again, there's nothing wrong with that. Readers know what they like, and I'm full of admiration for authors who are savvy enough to give readers exactly what they want. But the way the characters in those novels speak is not how I speak at all. All the characters but one in Edinburgh Fog are Scots, and so naturally, they speak with Scottish accents. That's where my difficulties began! Do I write in this universally-accepted Scottish romantic fiction language, or do I stay true to myself and write what I'm familiar with and know to be true, while still keeping as much Scottish flavour as I could? Well, of course, dear reader, I went with what I know. I could have 'translated' my characters' speech into 'book Scottish' - instead I tried to keep the flow and the rhythm of the way Edinburgh people speak, without using too many dialect words or trying to write out an accent. The key is to try and make the speech as understandable as possible while still keeping it Scottish. I personally don't like it when I have to slow down my reading speed just to try and make sense of what a character is saying, and I'm sure I'm not alone. That has to be the major consideration for any writer who's thinking about employing dialect or characters' accents in their writing - first and foremost, the reader has to understand it. Here's an example from Edinburgh Fog - Ben Hardie is a big, tough, beer-swilling, rugby-playing, typical Edinburgh lad. Here he is expressing his disgust at the male companion of a couple of women Ben's got his eye on. "Tak' a gaunder at him, manky wee ginger git, and they gorgeous babes wi' him. Whit’s he goat that I hivnae?" I don't know about you, but I find the second example pretty hard to read - and I wrote it! The first example is of course the one you’ll find in Edinburgh Fog. Does Ben sound any less Scottish in that example? I don't think so. The inclusion of just a few understandable dialect words - 'manky wee ginger git' - helps to underline Ben's Scottish-ness without rendering him unintelligible. Here's another longer example of three of the main characters in conversation. “Wimp,” Chrissie called from the other end of the bar. Here it's the rhythm of the speech that marks them out as Edinburgh natives. I hope you'll agree that exchange doesn't make them sound any less Scottish than they actually are! But of course, it's more than just the way characters speak, isn't it? I hope in Edinburgh Fog, I've managed to convey everything I love about a city that was my home for many years; not only the people and the wonderful, idiosyncratic way they speak, but also their wit and humour - and of course, beautiful, extraordinary Edinburgh itself. Edinburgh Fog is available in all e-book formats from MuseItUp Publishing. Click here. You can visit Jane Richardson at her blog, Home Is Where the Heart Is. I decided to start working again on a middle grade mystery novel I'd shelved 18 months ago because I got involved with other projects. Today I printed out the four drafted chapters and the projected synopsis I'd written for the other twelve chapters, and took the bundle over to a coffee shop to read while I had a muffin. As I paged through, the prose was looking pretty decent, or at least salvageable, but I couldn't for the life of me remember the story. So, with great curiosity, I skimmed the synopsis. When I got to the description of chapter 9, I laughed out loud and choked on my muffin. It said, "Something must happen to give them a clue. WHAT??? And how would they know?" And the last sentence was in red ink: "This plot ain't working." And that's my ninth chapter! Weirdly, there's a lot of detail for chapters 10-16. But I've got a hole in the middle of my mystery, apparently. Do you plot around problems and sort them out later?